" Gordon W. Anthony, age 57, died on October 8, 2012, with his family and friends by his side, in Los Angeles, California. Gordon was named in 1985 by the Jaycee's as one of the ten most outstanding men in America, an award that was given in other years to President Jack Kennedy and the Reverend Martin Luther King. Gordon was a true visionary who devoted his life to the equal treatment of all people, not only those with disabilities. His vision was of a world without discrimination, a world of tolerance. Gordon was quoted as saying "discrimination against anyone is discrimination against everyone; we must learn to value and appreciate our similarities as well as our differences." He will greatly be missed by many." Tom was born in the wrong century. He was a mountain man at heart, with a passion for hunting, hiking and trapping. If he had his way, he would have lived up in some uncharted mountain range enjoying the simple things of life. Tom did not need money or gadgets to keep him happy or feel accomplished; it was his understanding of what is really important in life that made Tom such a special man. Next of Kin: Gail Herman Coulson, Children, John III, and Jennifer L Brodbeck, grand daughter Izabella Grace, Brother Alan and Sister Karen Porcello. 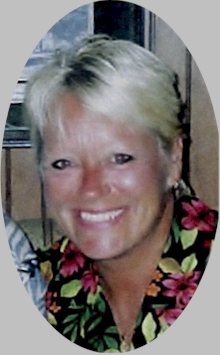 Sharon Ann Watsky, 51, Bradenton, Fla., died September 11, 2005. Born on June 5, 1954, in Patterson, N.J., she moved to Bradenton, in 1979, from Hallendale, Fla. She attended Temple Beth Sholom and Temple Beth El. Survivors include her husband, Dr. Steven C. Watsky; daughters, Haley B. and Ariel T., and son, Evan S., all of Bradenton; brothers, Jack A. (Vicki) Diamond, of Boonton, N.J., and Mitchell (Olga) Diamond, of Lauderdale By The Sea, Fla.; aunt, Claire Rosen, of Hallendale, Fla.; and brother-in-law, Claude Watsky, of Narragansett, R.I. Service is 2p.m., Friday, September 16, at Brown & Sons Funeral Homes 43rd Street Chapel, 604 43rd Street West, Bradenton. The family's home will be open on Friday, following the service, and also on Saturday and Sunday, from 1-9p.m. Memorial donations may be made to American Red Cross, Hurricane Katrina Relief Fund, 2902 59th Street West, Bradenton, FL 34209, or to Alzheimer's Association, Manatee/Sarasota Counties Chapter, Inc., 1230 South Tuttle Avenue, Sarasota, FL 34239. 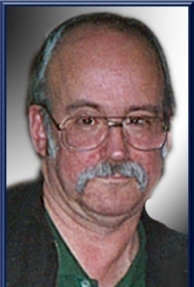 Kenneth G. Dyak "Ken" age 54 of West Milford on Wednesday, November 26, 2008. His passing was sudden and unexpected with his loving family at his side. He was born in Paterson and had lived his formative years in Wayne before moving to West Milford twenty- eight years ago. 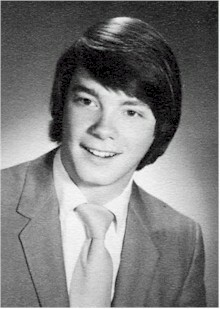 Ken received his formal education at Wayne Valley High School graduating with the Class of 1972. He had a strong desire to achieve higher education and pursued his college education going nights to Farleigh Dickinson University in Rutherford. In 1985 he received a Bachelor of Science Degree in Finance from Farleigh Dickinson. He was employed for many years at Wyeth Pharmaceuticals in Madison as a Financial Specialist. His hobby included playing the guitar having often played with a local bands at special events. He was also very mechanically inclined and enjoyed maintaining and fixing cars. He was also especially fond of his favorite faithful companion dog Ernie who is a Brussels Griffon. He leaves his family with many fond memories of a loving husband and father. He loved his children and always encouraged them to excel in their life's endeavors. 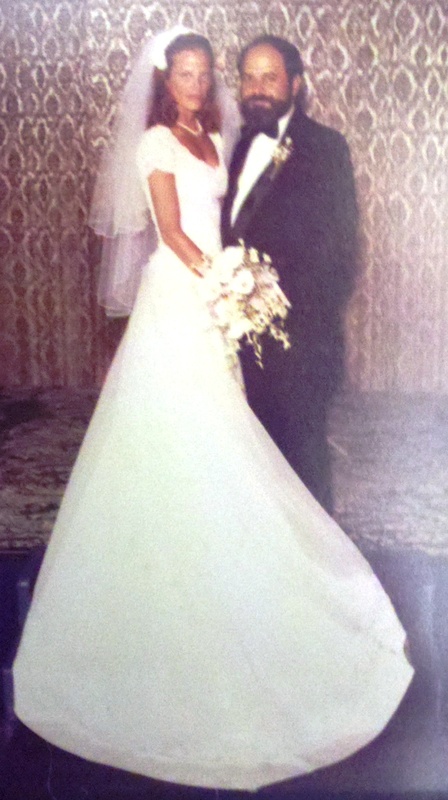 Cynthia and Ken met while working at the former Acme Supermarket on Valley Road in Wayne and married. They had thirty years of "good and loving" marriage together. Surviving are his loving wife Cynthia (nee D'Auria) Dyak; one daughter Cheryl Dyak of Hopatcong; one son Brian Dyak of West Milford; one sister Doris Arena and two brothers Nelson and Charles Dyak. 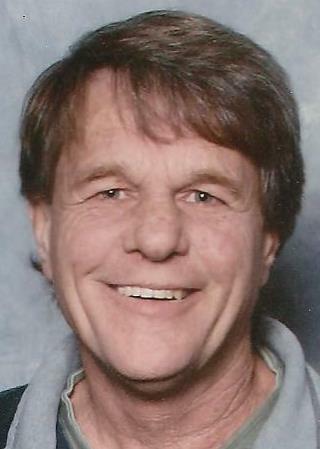 Forrest, Jeffrey E., 61, husband of Frank Michel, married on November 9, 2015 after being partners for nearly 25 years passed on November 22, 2015 at home in Pompton Lakes. Born in Glen Ridge, raised in Wayne and for a short time in Franklin Lakes than moving to Pompton Lakes. 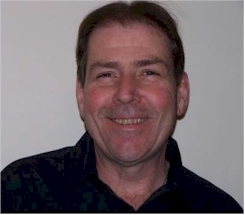 Mr. Forrest had been employed from 1977-2014 as a Physical Therapist for Nyack Hospital and Lower Hudson Valley Physical Therapy in Pomona, NY. Along with his husband, he is survived by his father, Edward J.of Port Republic, VA, one sister, Debbie C. of Rockingham, VA one brother, Terry (and wife, Mary) of Smith Mountain Lake, VA, two sister-in-laws, Catherine Petruzziello and Ann Cavalchire, three brother-in-laws, Vincent Petruzziello, Paul Cavalchire and Michael Laucik, several nieces and nephews and a special chihuahua named Chalupa. He is predeceased by his mother, Sarah T.(Smith) (2010) and sister-in-law, Jean Laucik (2012). 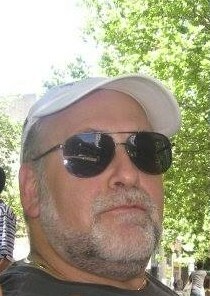 Visitation Friday 2-4 & 7-9 PM at Richards Funeral Home, Inc., 4 Newark Pompton Tpk, Riverdale. NJ. Funeral Service Saturday, 9:30 AM at Christ Episcopal Church, 400 Ramapo Ave., Pompton Lakes, NJ 07442. Interment, St. Gertrude�s Cemetery, Colonia, NJ. In lieu of flowers, donations to Degregorio Family Foundation, PO Box 236, Pleasantville, NY 10570. www.degregorio.org This is a leading esophageal cancer research foundation would be appreciated. who remains in our hearts. 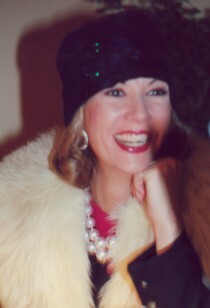 Deborah J. Frappolli � age 62 years of Hawthorne on Wednesday, April 20, 2016 beloved daughter of the late Vincent and Jennie (nee: Bajor) Frappolli. Born in Paterson, Deborah lived in Wayne and North Haledon before moving to Hawthorne 3 years ago. 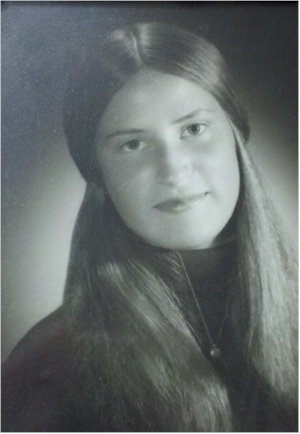 Deborah was a parishioner of St. Casimir RC Church, Paterson. She was also a member of AARP. Deborah is survived by many aunts, uncles and cousins. 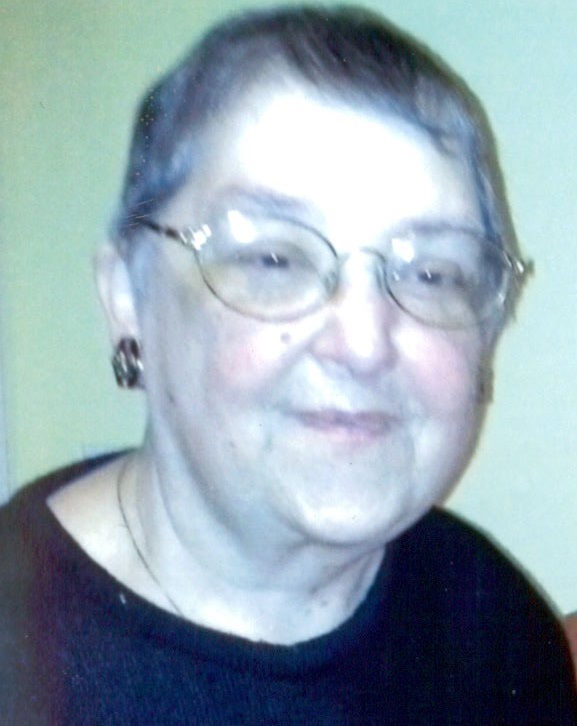 She resided with her aunt Mary Ann Frappolli in Hawthorne and leaves behind her special friend Patricia Duensing of Lincoln Park. love of skiing and camping.. In loving memory of our brother "Hank"
We will always keep him in our hearts. Remembering his love of music, his musical talents - unbelievable -standing ovations after his performances with his guitar at a concert - no one could surpass. So happy to have him in our life. Miss him so much. "Hank" loved trees. All of them that God made to enjoy. I always see his face in the leaves and feel his hugs with the swaying of the branches, always caring for others and ready to lend a helping hand. We had a very special brother. 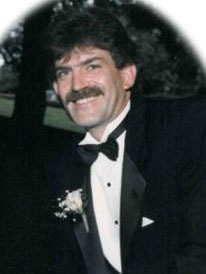 Richard R. Maggio, "Ricky", age 55 of Royal Palm Beach, Florida, formerly of Wayne, died on Thursday, March 5, 2009. He was born in Paterson and lived in Wayne for most of his life. 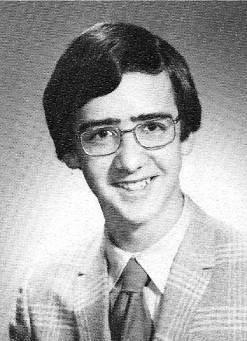 He graduated from Wayne Valley High School, where he had played football and was a skier, with the class of 1972. He later graduated from New Jersey Institute of Technology with an Associate's degree in Engineering. He was employed with Steamfitters Local 274 in Jersey City for nearly twenty four years before moving to Florida in 1998. He has since been working as a construction manager with his brother, Ronald, in Florida. Richard was also a proud member of the Preakness Volunteer Fire Company #4 in Wayne for many years before he moved to Florida. Richard was an avid fisherman and truly enjoyed all the fishing opportunities that Florida had to offer. 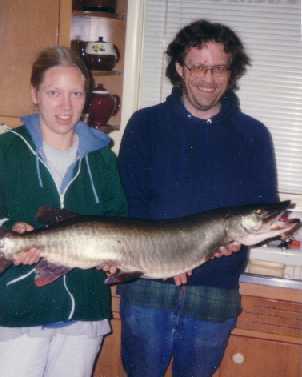 He had fished all over, including Cape Cod, shark fishing out of Montauk, and the Florida Keys. As a boy, he spent his summer vacation on LBI, in Surf City, which is where he probably picked up his love for surfing too. He was extremely intelligent, could fix just about anything, and would gladly help anyone in need. Richard was always the 'life of the party' and he sure knew how to enjoy himself. He recently said to his brother; "I've lived life my way and it doesn't owe me anything." Richard is survived by his daughter Ashley and her mother Susan C. Maggio of Mertztown, PA, his parents; Thomas and Evelyn Maggio of Wayne, one sister; Donna Maggio-Ash and her husband William of Wayne, two brothers; Thomas Maggio of Wayne and Ronald Maggio and his wife Susan of Wellington, FL, and many nieces, nephews, and close friends. In loving memory of Raymond Maksuta who lost his battle with colon cancer in 1994. Ray was a very caring and loving individual. He was very knowledgeable about the origins of any type of wine and could tell you information about that wine down to what type of wooden barrel or what type of grapes the wine was made from. Besides his first love of wine, he was an accomplished guitar player. He loved the blues long before it became popular-- certainly a man before his time. A serious man at times, in a moments notice he could turn into a jokester. Although he may be gone from our sight he is never gone from our hearts. Oh but I loved her laughter and heartfelt compassion. Her personal sacrifices serve as inspiration, while her tender smile and loving commitment is what will always be remembered. Lois A. Herman, age 62, of Vernon, passed away peacefully on Friday, March 10, 2017. Born and raised in the Flatbush section of Brooklyn, NY, Lois� family moved to Kirk Terrace in Wayne in 1967. 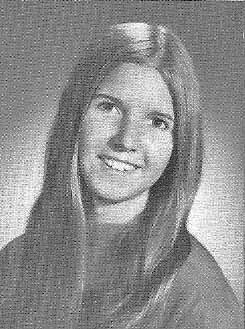 Five years later, she graduated from Wayne Valley High School with the Class of 1972. 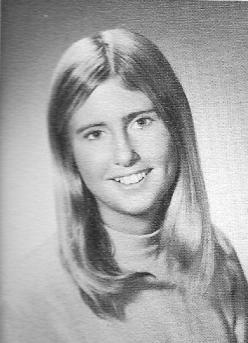 Jill Newton moved to Colorado shortly after graduating from Wayne Valley High School. Other than a short stay in San Francisco, Jill lived in Colorado the rest of her life. She loved the mountains. Jill was a fabulous snow skier; she enjoyed white water rafting, and hiking. She, of course, was also a very loving mother. Not only was she beautiful, but also probably one of the brightest people I have ever met. Her memory was photographic and often the conversation at the office. If anyone couldn't find a project number from a job 10 years earlier�"just ask Jill" was usually the next approach. She knew every employees social security number by heart (there were 20 or 30 employees). Most of all, Jill was loved. Not everybody loved Jill, but her close friends, family and husband loved her, admired her, and were dedicated to her completely. This was true because she loved and dedicated herself, in a healthy way, to her close knit group of family and friends. The world was a better place because of Jill, and her absence from this planet is still very much recognized. 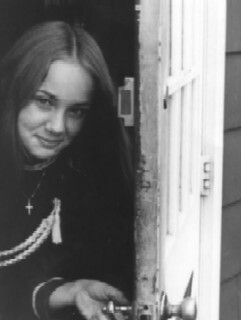 Beth Nielsen (Moore) had a bubbling personality and many friends. With her caring nature and love for animals, she was dedicated to her job at the veterinary clinic. 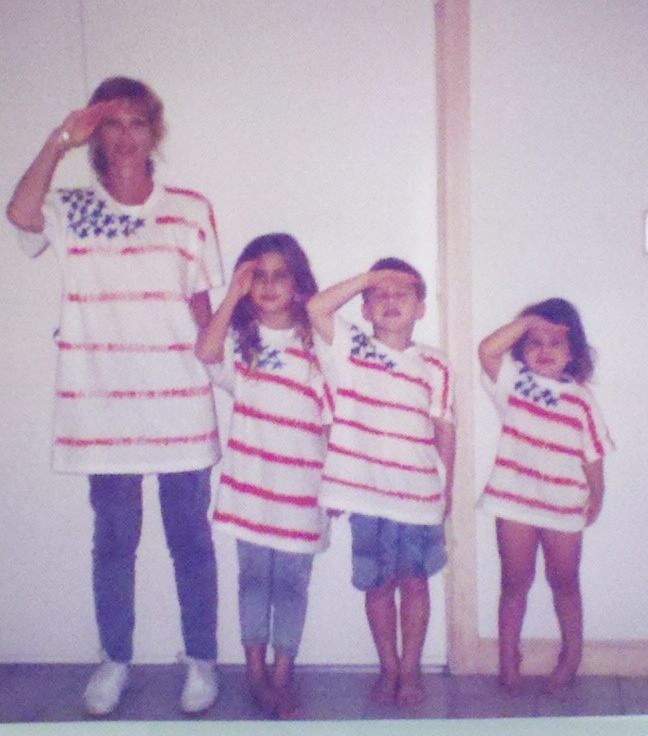 Most of all, she loved and took great pride in her two sons, David Jr. and Bryan. Because of their natural athletic abilities, they were both drafted by major league baseball teams. 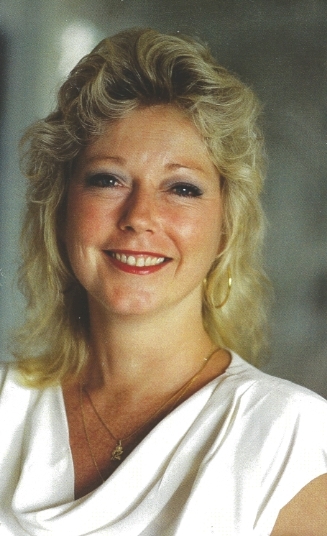 Beth Nielsen,49, died at Health Park Hospital in Fort Myers, Florida on May 26, 2004. 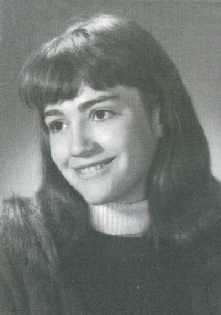 Beth grew up in Packanack Lake and graduated from Wayne Valley High School and attended college in Hackettstown, N.J. She is survived by her mother, Jeanne Nielsen and two sons, David and Bryan Moore. 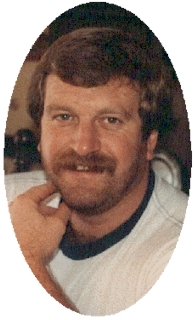 OAKLEY, Everett "Butch" Everett "Butch" Oakley, 50, of Rocky Hill died Saturday, (May 29, 2004). Born in California, he lived most of his life in the Middletown area. He was a director of Building and Grounds for the Town of Saybrook and also was employed by Key-Media and recently Alside Building Supply. He enjoyed spending time at his cottage on Salmon River in Haddam. Butch was a United States Air Force Veteran serving in Vietnam as a Sergeant. He received many unit citations, including several medals, five airman of the month awards and Sergeant of the Squadron award. He is survived by his longtime companion, Wendy Rodriguez and her son E.J. Walker of Rocky Hill; sister, Lynn Brittany and cousins Carl Pittman, Jackie and Jo-Jo Lynch, John Gordon, Arnold and Lee Studwell and Eileen McGrail all of New York. He is also survived by his dear friend, Frank and his mom, Gertie Gotlibowski of Rocky Hill. Funeral services will be held on Saturday, June 5, at 10:00 a.m. at the Brooklawn Funeral Home, 511 Brook Street, Rocky Hill at 3:30 p.m. Interment will be in New York, at a later date. There are no calling hours. For online guestbook, flowers and directions please visit online at www.Brooklawnfuneralhome.com. Tom was a renowned neuroscientist and pharmacologist. He graduated with a B.S. from Bucknell in 1976 and obtained his PhD in pharmacology from Howard University in 1980. With some 30 publications to his credit, Tom was "superman" according to a fellow scientist with whom he worked. He was recruited by the National Institutes of Health (NIH) in Washington, DC as a staff fellow in 1980 and quickly rose to become chief of the laboratory of neuroendocrinology of the NIH's National Institute of Neurological Diseases and Stroke in 1982. He was also an assistant professor at Howard's Medical School. Tom was one of the founders of the annual Winter Neuropeptide Conference and was cited in the publication "Who's Who in Frontier Science and Technology". 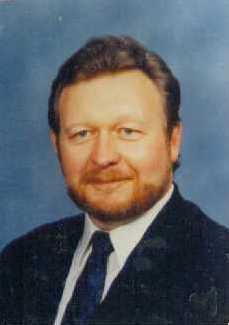 His reputation established, Tom moved to Monsanto in St. Louis, Missouri in 1986 where he became director of its CNS (Central Nervous System) department. Tom was at Monsanto for less than a year when he was killed in an auto accident on April 14, 1987. Tom is buried at Rock Creek Cemetery in Washington, DC. Survivors include his wife Gail Handelmann of Marblehead, MA, and children Aidan and Ross. Howard University founded the annual Thomas L. O'Donohue memorial Lecture in Neuropharmacology in his honor. Dr. David Joseph Pasquariello, age 62, passed away August 4, 2017, following complications from heart surgery. Dr. Pasquariello was a beloved Chiropractor in the Mableton area for over 35 years. His patients were his passion, and he was respected and loved by all. 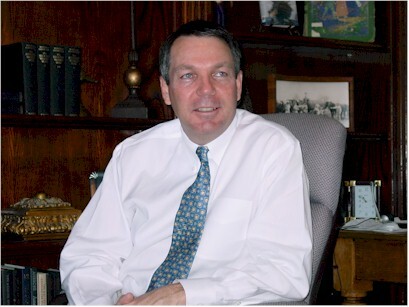 He was active in the Georgia Chiropractic Association, serving as past Vice Chairman of the Board of Directors and as past District Two Director. 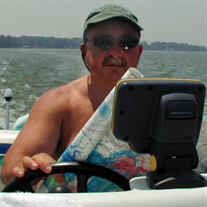 PILAT Stephen, age 53, of Wayne, suddenly, on Thursday, June 7, 2007. Beloved husband of Angela [Banks] and Dear brother of Patricia Mallery. Mr. Pilat was a Graduate of Wayne Valley High School and William Paterson University. He was a Self-Employed Musician. Published in The Record and Herald News on 6/10/2007. 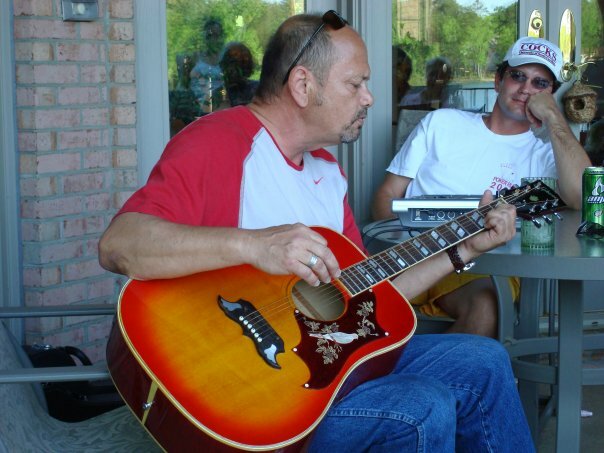 Kevin L. Riker, age 55, formerly of Wayne, died on Tuesday October 7, 2008 in Sarasota, Florida after a courageous battle of nearly 8 years with Lou Gehrig's disease. Kevin graduated from Wayne Valley High School where he left his mark in athletics. 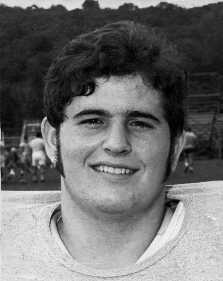 He is a member of the Wayne Valley Football Hall of Fame and he was a star pole-vaulter on the track team. There's little doubt that his athletic success must have been a result of the excellent coaching he received from his coach and big brother, Ray Riker. He was also an avid skier and absolutely loved to golf. He was a natural at golf and continued playing well into his adult life, until the disease limited him. Kevin moved to Key West, Florida in the 1970's and opened a restaurant called "Poncho & Lefties" on Olivia St. He was passionate about cooking and this was a dream come true for him. His brother Ray recalls Kevin grilling on the sidewalk out in front of the restaurant. He operated the restaurant there for over thirteen years before he and his wife moved to Sarasota, Florida in the late 1980's. Kevin continued to cook, both occupationally and as a hobby. He simply loved being a chef and he was very good at it. For the past few years, during the height of Kevin's illness, his niece and nephew have made regular visits to Florida, often twice a year, to spend time with their ailing uncle. Kevin truly enjoyed and looked forward to their visits. They were very close and will miss him dearly. Kevin has no children of his own and his nephew, Ray "Dee" Riker, recently named his own son in his uncle's honor. 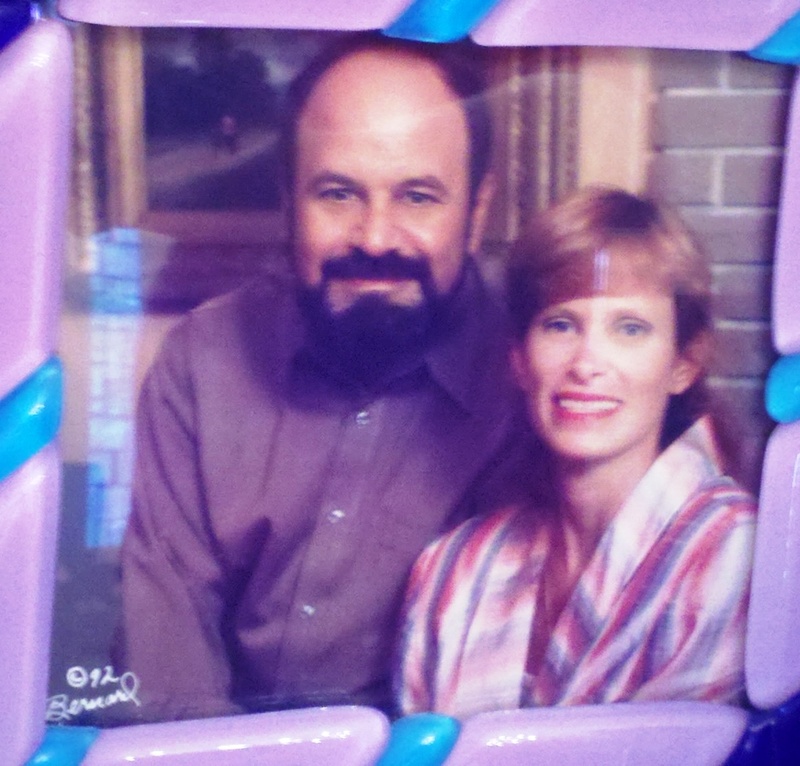 Kevin is survived by his wife of thirty years, Donna (nee Delsea) of Sarasota, Fl, his mother; Jane Riker, one brother; Ray Riker. 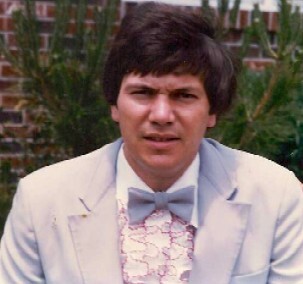 Memorial service for Barry James Roder, 58, will be held at 11:00 a.m. Wednesday, August 14, 2013 at Caughman-Harman Funeral Home, Lexington Chapel. The family will receive friends following the service at the home of Doug and Susan Roder. 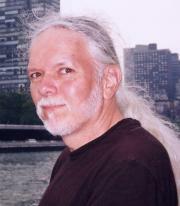 Mr. Roder was born on December 12, 1954 and passed away on Sunday, August 11, 2013. He was the son of Doris Holler Roder and the late LeRoy Roder. Surviving are his son, Roy Roder of Lexington, SC; mother, Doris Katherine Roder of Lexington, SC; brother, Doug Roder and his wife Susan of Lexington, SC; nieces and nephews, Ryan and Kimberly Hall of Blythewood, SC, Danielle Jason Bedenbaugh of Elgin, SC and Jeffrey and Janet Roder of Columbia, SC. Mr. Roder enjoyed music and playing the guitar. He was an avid photographer and loved to cook. He attended Wayne Valley High School and grew up in Wayne, NJ until 1989 and then moved to SC. Memorials may be made to Hebron Colony Ministries, Inc., 356 Old Turnpike Road, Boone, NC 28607. On July 30, 1954, Kevin entered this world a few minutes after his twin brother, Craig, in Paterson, New Jersey. 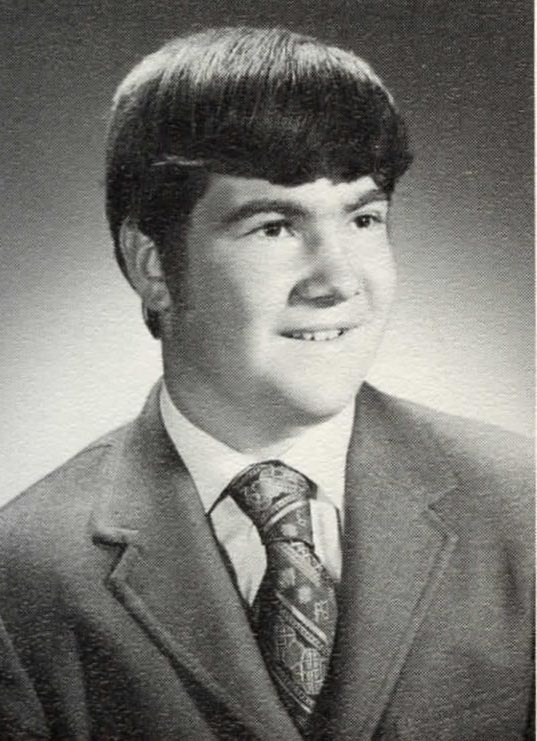 Throughout Kevin's childhood and teenage years, his family lived in the New Jersey suburban community of Packanack Lake. 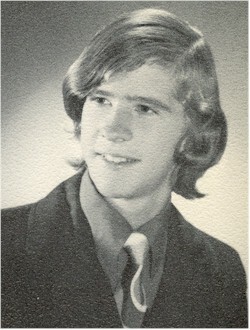 After graduating from high school in 1972, Kevin moved to Ohio to attend Denison University and graduated in 1976. Kevin lived a few years in California and then moved to Dallas, Texas in order to pursue a Masters of Business Administration from Southern Methodist University. Upon graduation Kevin was hired by Datapoint Corporation and moved to San Antonio. In 1983 Kevin married Debra Lorenz and they relocated to Dallas. The Roper family grew with the birth of sons, Colin and Craig. In 1996 while employed by BancTec, the family was relocated to England for two years and upon their return in 1998 they moved to Coppell, Texas. In 2008, Kevin was hired by Metavante and he and Debra moved to Oklahoma City. On September 24, 2010, Kevin passed away from lung cancer. He is survived by his wife of 28 years, Debra; sons, Colin and Craig; brothers, Lance, Garrett, and twin Craig; and sister, Sharon Kneussl. 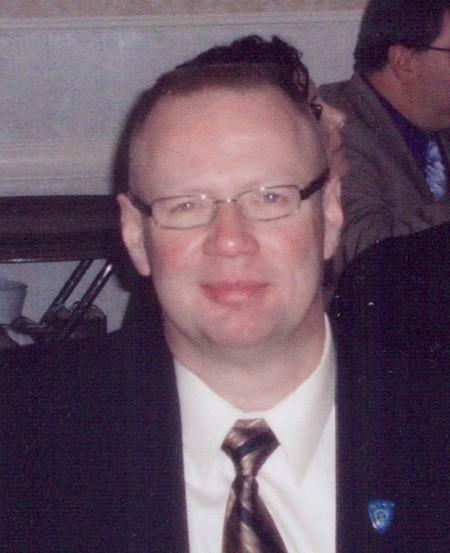 SESSA William Thomas, 61, of Elmwood Park, died Tuesday, August 12, 2014. Born in Queens, NY, he had lived in Wayne and Clifton prior to moving to Elmwood Park 11 years ago. Mr. Sessa was the owner of Cutting Edge Lawn Service, Elmwood Park. He was a member of the Knights of Columbus, Lodi. Beloved husband of Dawn (nee Bosland), loving father of Joseph and William, both at home, devoted son of Vincent of Clifton and dear brother of Kenneth and his wife, Heather of Riverdale, Kathy Sessa of Bricktown and the late James. Funeral service Saturday 9 AM at the Patrick J. Conte Funeral Home, Inc., 274 Market St., Elmwood Park. Entombment George Washington Memorial Park, Paramus. Visiting Friday 6-9 PM. Matthew M. Shumeyko age 51 of Wayne died Friday at the Morristown memorial Hospital, Morristown. He was born in Newark and lived in Union before moving to Wayne forty-five years ago. 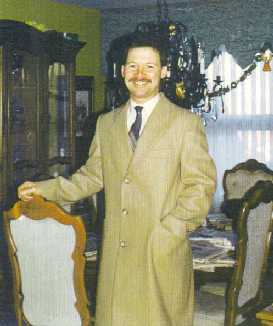 Mr. Shumeyko was a commercial driver for the Air Brook Limousine Company, Saddle Brook. Surviving are his mother Helen (nee Kuzow) Shumeyko; one sister Joanne Johnson and her husband Kevin of Detroit, Michigan; two brothers Daniel Shumeyko and his wife Mary of Pompton Plains and Gregory Shumeyko and his wife Susan of Suwanee, Georgia and several nieces and nephews. A memorial service took place on Tuesday, January 31, 2006 at the Pequannock Reformed Church, 530 Newark Pompton Turnpike, Wayne. 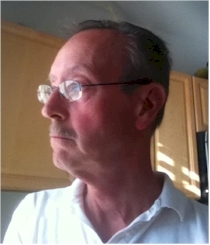 Daniel Suchoff, 60, of Phoenix, died May 19, 2015. Born in Mineola, New York, he was an entrepreneur and financial adviser. Survivors include his wife, Diana; daughter, Tess of Boston; son, Noah of Phoenix; and sisters, Marla Mendelsohn of Hoboken, New Jersey, and Ronnie Klein of Chicago. Services were held at Mt. Sinai Cemetery, with Rabbi Mari Chernow officiating. Arrangements were made by Sinai Mortuary. Contributions are suggested to Deutsch Family Shalom Center at Temple Chai, 4645 E. Marilyn Road, Phoenix 85032; or C.O. Greenfield Elementary School, Principal Stuart Starky's Discretionary Fund, 7009 S. 10th St., Phoenix 85042. 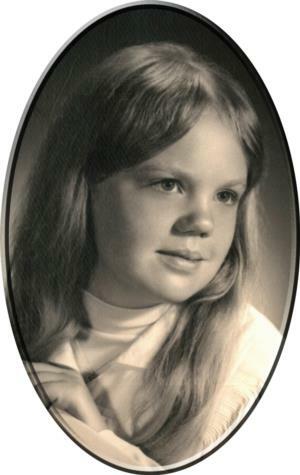 Frank was born in March 1954, the son of Frank and Adele Symon, Sr., and the brother of Laurie. He died in a car accident in December 1973. In the spring of 1974, Frank's ashes were scattered over the surf of Seaside Park, New Jersey, a place he loved and where he had spent many happy days with his friends. 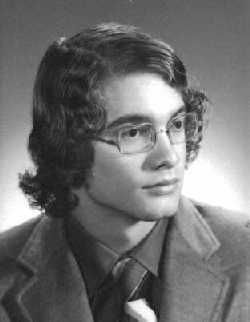 Frank is remembered by his family as happy, energetic and friendly young man, who loved athletics - a memory shared by the class of 1972. 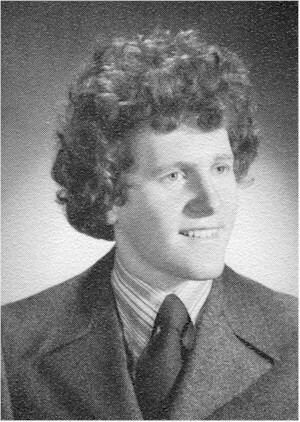 When we also recall that Frank won the "Coaches Award" in 1972 for his sportsmanship and commitment to his team on the basketball court, we also know that Frank was a person committed to school, community, and others - a dedication that would have certainly continued had he not passed from this life too early. 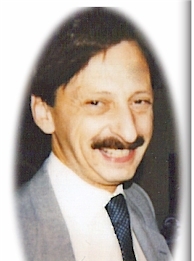 In Loving Memory of Frederic Charles Willer who died suddenly of a massive stroke on November 20, 1991. 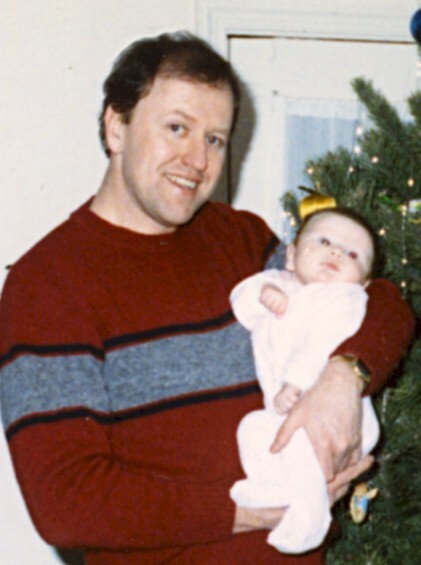 Fred was a devoted father to his two daughters, Ashley and Megen who were the light of his life. Fred was a very compassionate sole who's main objective in life was to help those in need at trying times. 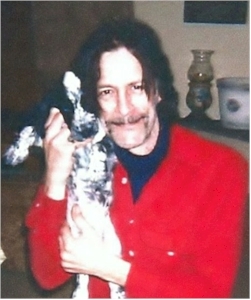 Fred was a former member of the Wayne memorial First Aid Squad and the San Juan County, NM Search and Recovery Team. 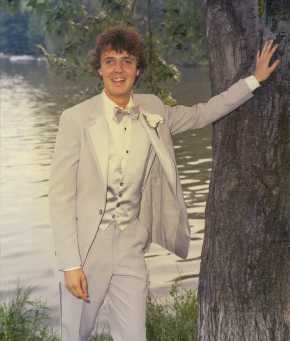 After his stroke in 1987 Fred went back to school and became a funeral director. He had many friends who looked to him in times of trouble due to his caring nature. "Grieve not for those who lost a friend and loved one, but grieve for those who had not yet met him." Member of: Totowa United Methodist Church, Mt.View Masonic Lodge, Passaic Co. Funeral Directors Association, San Juan NM Search and Recovery Scuba Team. 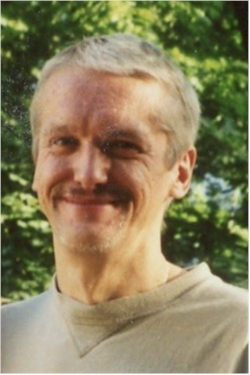 James Richardson Wright, 59, of Stockholm, passed away suddenly May 9, 2013, in his home, which he designed and built with his own hands. 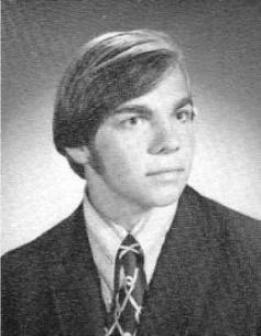 Born in Glen Ridge and raised in Wayne, he graduated from Wayne Valley in 1972. As a child, he enjoyed spending time at his grandparents' property. He was an artistic carpenter. He was a kind and loving husband, father and gramps. Everyone he met loved him. A celebration of life ceremony will be held at 1 p.m. Saturday, May 18, at Unity Church of Sussex County, 25 Mudcut Road, Lafayette, NJ 07848. Following the service, a gathering of family and friends will be at the family residence. In lieu of cut flowers, you may bring a perennial, shrub or tree from your garden to the service or residence. Mr. Wright is survived by his loving wife, Cindy; mother, Shirley; sisters, Marti, Stacy, Laurie; son, Randall; daughters, Renee and Katie; grandsons, Wyatt, Aiden, Elias and Marcus. Arrangements by the Megaro Memorial Home, 503 Union Ave., Belleville but grieve for those who had not yet met him."